While commonly recognized for its high recycled content, structural steel is a multi-attribute building material, the use of which can significantly reduce the environmental footprint of a building. 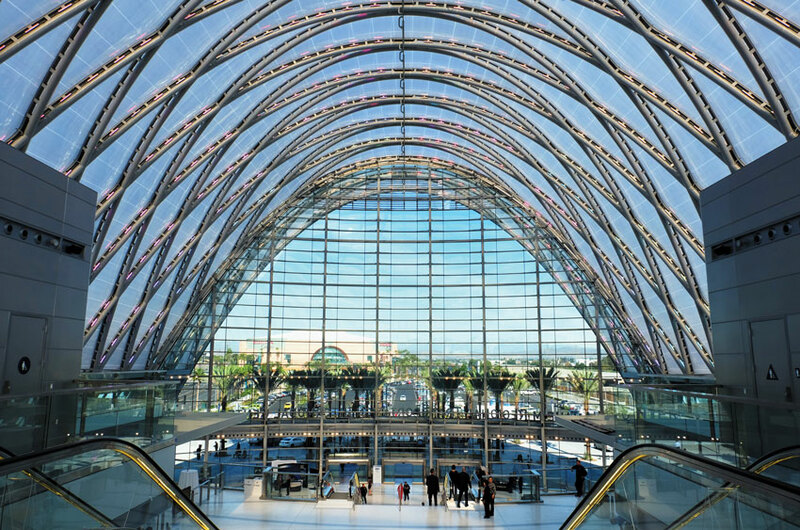 Photo courtesy of Thornton Tomasetti, Inc.
Long spans, curved steel members, and abundant natural light highlight the new Anaheim Regional Transportation Intermodal Center in Anaheim, Calif., which won a 2015 AISC IDEAS2 Award and achieved LEED Platinum certification. The steel industry in the United States recycles more tons of waste than any other domestic industry, with 81 percent of all steel products being recycled back into new steel products. Of all steel products, an impressive 98 percent of all structural steel is actively recovered and recycled or reused. The result is that the recycled content of domestically produced and fabricated structural steel used for structural framing systems is greater than 93 percent. Steel’s recyclable attributes are only part of the story, as there is a larger storehouse of sustainability benefits provided by structural steel. 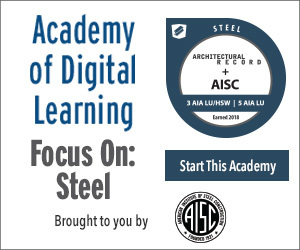 Today we know that steel is much more than a single-attribute material, and we recognize the many attributes of steel that contribute to sustainable construction in many ways. Domestic structural steel mill capacity exceeds current and foreseeable domestic demand, with more than 75 percent of current demand being met by domestic producers. Hot-rolled structural steel mills in the United States do not use iron ore, coke, or limestone as primary feedstock materials; no mining operations are required. Unlike the legacy steel mills of the early 20th century, today’s structural steel mills have highly sophisticated systems to minimize emissions. They are highly automated, environmentally conscious neighbors in the communities where they are located. Steel does not lose any of its metallurgical properties when recycled. Consequently, the quality and properties of recycled steel are the same as virgin steel. Iron is a nondepletable resource, as all steel can be recycled, and any increase in demand beyond the available supply of scrap can be met by the earth’s abundant supply of iron, which comprises 35 percent of the earth’s mass. Structural steel mills recycle all of the water they use through a closed-loop recycling system. Less than 70 gallons of water is consumed per ton of steel produced. There are close to 2,000 steel fabricating firms located throughout the United States. that detail, cut, drill, bolt, and weld structural steel for building projects, providing local employment and economic stimulus. 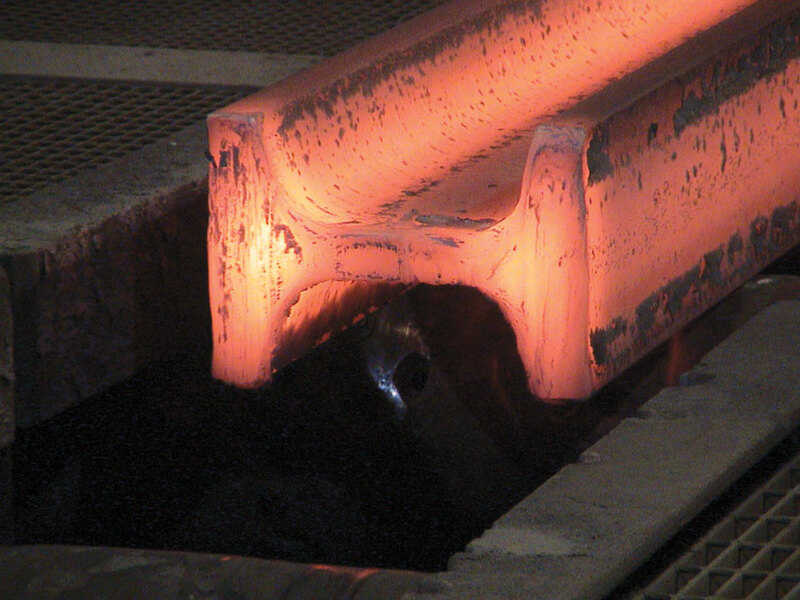 This beam blank is exiting the caster prior to reheating and rolling into a structural section.